Whatever business you’re in, you’ve probably wondered how you can get your content to go viral. You see it all the time with other companies’ content. They start small, and all of a sudden they’re huge because of a couple viral videos. Videos are more likely to be viewed than other content (in fact, Sizmek research (formerly MediaMind) found people were 27 times more likely to click on a video ad than a regular banner ad and that can lead to a huge growth in followers and revenue. Sometimes luck decides which videos go viral, but you can do plenty of things to get luck on your side. From planning to creating to promoting, these tips will help you create super shareable content your audience will love. Even though it feels random sometimes, there is a pattern for which videos take off and which ones sit in obscurity. Before you make content, you need to have a plan. Whether it’s a cute cat video that can make someone’s day a little better or a video with a strong message for a cause, you have to create something that people will want to share with their friends. Ultimately, you want to make a video that will make people feel cool to share with their friends. You could appeal to their conscience, their interests, or their heartstrings. Videos that alienate or embarrass aren’t going to get you the shares you want. Create something that will give viewers an emotional reaction – laughter, joy, sadness, anger, or a call to act. 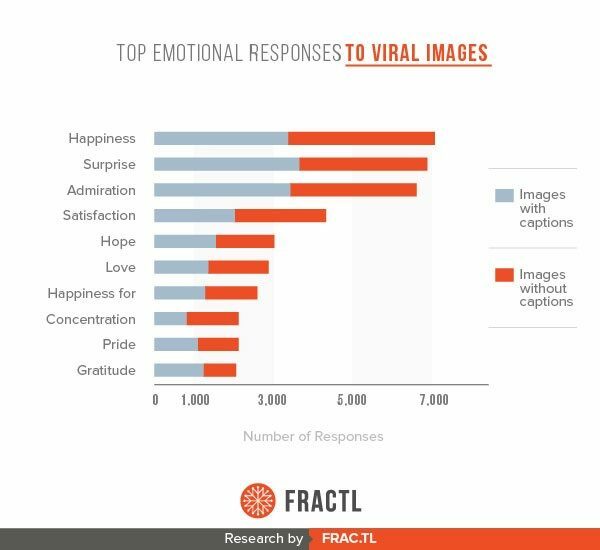 Most viral images evoke happiness, surprise, admiration, or satisfaction. Be careful with content that evokes anger. It’s OK to get people angry about an injustice in the world, but if you don’t offer a next step to address that emotion, the viewer doesn’t really go anywhere or accomplish anything. The emotion that seems to get the most traction is inspiration. Just look at Upworthy’s success from sharing videos that give viewers that warm, bubbly feeling. Inspirational and feel-good videos usually get the most buzz. If you get people invested in the video within five to seven seconds (or even better, with just an interesting title), then you’re golden. We all see too many ads throughout the day. People want to get something out of the content they watch, and not feel like they’re being brainwashed about what brands they should like. It’s possible to make videos that promote your brand without being preachy. Make sure your brand values are well represented in the content, and give people information they care about. If you’re a company that sells apples, for example, make some of those how-to recipe videos that everyone loves right now. Obviously you want to share your content across social media sites to get the most coverage, but remember that some content is better suited for some sites over others. Video content that does well on Instagram might not get a lot of shares on Twitter. If you know ahead of time where you want to share the content, you won’t waste time posting it to every social media site and dealing with different optimization, length, or audience issues. When you do start to make videos, pay attention to the metrics and how they relate to your goals. Once you find something that works and people respond to it, keep up that momentum. Figure out why people liked that video and apply those attributes to future ones. Throwing a video on YouTube isn’t enough if you don’t have a strong following on that platform. If you’re after tens of thousands of views and countless shares, you have to tap into existing large followings. Submitting your video to a Facebook group or a website that posts similar content and gets a lot of shares could be a good route to get your video seen and shared, and drive traffic back to your own social media or website. If you share your video on other sites, be sure that your credit is clear. Include language and link in the description and at the beginning or end of the video. However, recognize that measuring third-party views can be harder to track because it’s fairly easy for people to take the credit off when they share. Put yourself in the shoes of someone who might search for a video like yours. What keywords are they going to search for? What kind of title would they click on? The better you know your audience, the better you can help direct them to your video. Make sure to include SEO-friendly words in your title, description, and tags. You can’t rely on the power of people sharing your video alone. Without paying a little to promote your video, your reach is probably limited. As long as you promote smartly – knowing your audience and targeting content you know they’ll like – the money you invest should be that extra boost you need to get your content to take off. An ever-growing number of people check Facebook or watch YouTube videos on their phones rather than on their laptop or desktop computers. YouTube reports that more than half of views come from mobile devices. Keep your mobile audience in mind as you create and promote your video. Sometimes you’ll get lucky and your video will be discovered by all the right people. Most times, it’s up to you to make sure your content gets seen. One of the best things you can do is find that perfect balance between quality and quantity. Viral videos flare up and burn out fast. The viral Harlem Shake posts (remember that?) petered out after only a couple of weeks. You want to create something interesting and worth sharing, but you also need to have more videos to keep the momentum going. With online content, you can’t waste too much time producing, and you also can’t waste too much time promoting just one thing. It’s all about creating a steady stream of content that will keep people engaged over time. These tips can help you create more meaningful videos and get them in front of the people who need to see them. It’s important to remember, though, that creating a viral video requires a little bit of luck, too. It’s about being in the right place at the right time, and you can’t always know where that’s going to be ahead of time. Even if it feels like you’re doing everything right and your videos still aren’t taking off, have patience. It might look easy to create viral videos, but it takes a lot of work to build and maintain an audience. When it comes to content creation you have to celebrate the little victories, otherwise you’ll drive yourself crazy. If your video gains your organization followers or it has more shares and comments than your last videos, consider that a win. And you never know, maybe your next video will become the next overnight sensation. What characteristics make you like and share videos you come across? Is it the type of content, the commentary it’s presented with, or something else? Need more ideas on how to create killer video content? Check out our latest collection of amazing brand examples.